Vendula Hn�dkov� is an architectural historian based in Prague. After studying in Prague, Brno, Vienna and Helsinki, she now works as a scientific researcher at the Institute of Art History at the Czech Academy of Sciences. She is a member of the review panel of the US journal Centropa and member of the editorial board of the ERA 21 Central European magazine on architecture. She is interested in rewriting architectural history from the margins and exploring political backgrounds in Central and Eastern European arts and theory. Recently she has prepared two exhibitions and accompanying books: National style, for the National Gallery, and Pavel Jan�k � Organiser of Life, for the National Technical Museum in Prague. 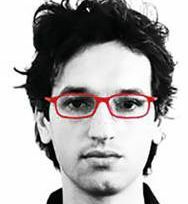 Adam Gebrian graduated with honours from the Faculty of Architecture in the north Bohemian town of Liberec (2006), whence a Fulbright scholarship allowed him to participate in the SCIFI postgraduate program at the Southern California Institute of Architecture (SCI-Arc) in Los Angeles (program completed in 2008). He has also studied and worked in Amsterdam, Rotterdam, Prague, Paris, London and Los Angeles. He has published a compendium of lectures entitled 29+3, and he is a member of the editorial board of the Era21 journal, to which he is also a regular contributor. His design for Dubai was exhibited at the 11th Biennale in Venice (2008), and since 2009 he has been presenting his own programme �Bour�n� (�Demolition�) on Radio Wave. In the years 2009-2010 he ran the architecture studio at the Faculty of Art and Architecture of the Technical University in Liberec, and he currently teaches at the Prague Institute, an establishment administered by North Carolina State University (NCSU). 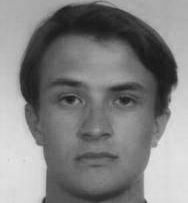 He was involved in preparing Ostrava�s application for the European Capital of Culture for 2015 as well as in the foundation of the first private school of architecture in the Czech Republic, Archip, where he also lectures. His other activities include the preparation of a series of weekly articles on contemporary architecture for the Czech magazine Respekt, and he is a member of a specialist board of advisors on municipal development issues to the City of Prague Council (www.ozvucnadeska.cz). A former pupil of the Johannes Kepler Grammar School, Josef Hole�ek is now a first-year student of architecture at the Czech Technical University and of philosophy at the Arts Faculty of the Charles University in Prague. Besides the more specific themes of architectural space, the phenomenon of the genius loci and the traditional characteristics of inhabited space, his broader interest concerns historical architecture and philosophy of the twentieth century. He is currently involved in projects to reconstruct several historic houses in Prague, and he will be working together with JKWIS in an introductory workshop. In 2011 Josef represented the Johannes Kepler Grammar School at the prestigious Tiltshift Summit international conference in Singapore, and in 2012 he undertook a term of study at the Prince of Wales Island International School. Mark�ta Jure�kov� was born in the Czech Republic. She was awarded an Ing. Arch from the Czech Technical University School of architecture and an MgA. in Architecture from the Academy of Fine Arts in Prague. She worked in the Prague architect studio of Pavel Zverina and for Mueller Reimann Architekten in Berlin before working for Josef Pleskot in AP Atelier. In AP Atelier she has completed project for New Headquarters of CSOB Group. This building has received The Architecture Grand Prix � National Architecture Award in 2008. She has lectured the Fall 2010 Sustainable Architecture Studio at the NC State University Prague Institute. Jana Tich� graduated in Art History and Theory at the Philosophical Faculty of Masaryk University in Brno, Czech Republic (1989). She is the director of Zlat� �ez, Publishers for Architecture, based in Prague, and chief editor of Zlat� �ez Magazine. Her publications include several anthologies of architecture theory: Architektura na prahu informa�n�ho v�ku (2001), Architektura: v informa�n�m v�ku (2006), Architektura: T�lo nebo obraz (2009), Architektura a globalizace (2013). 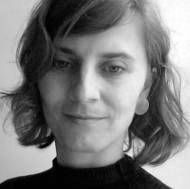 Apart form editorial work, she co-authored several books, among them PRG 2021: sou�asn� architektura Prahy/contemporary architecture of Prague, (2007, with Irena Fialov�); monographs Future Systems (2002, with Jan Kaplick� and Michela Kadnerov�), Martin Rajni�: P�irozen� architektura/Natural Architecture (2008), with Irena Fialov�) and D3A: �iv� architektura/Airy Architecture (2009, with Irena Fialov�). Together with Martin Rajni� and Irena Fialov� they were responsible for the exhibition of Czech Republic at the 12th Biennale of Architecture in Venice 2010. 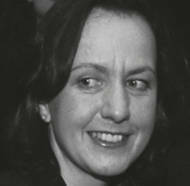 Lenka Burgerova is an architect and historian. She graduated in History at the PhilosophicaI Faculty of the Charles University in Prague and at Universit�t Wien. Simultaneously, she was studying architecture at Brno University of Technology and Karlsruhe Institute of Technology. 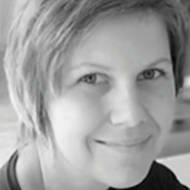 Currently, she is a university lecturer at the Department of Urbanism at the Czech Technical University in Prague. 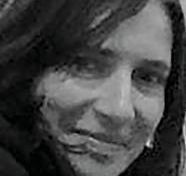 Her scientific research is focused on economic and social history and its influences on urban planning. She also publishes studies in architectural history.